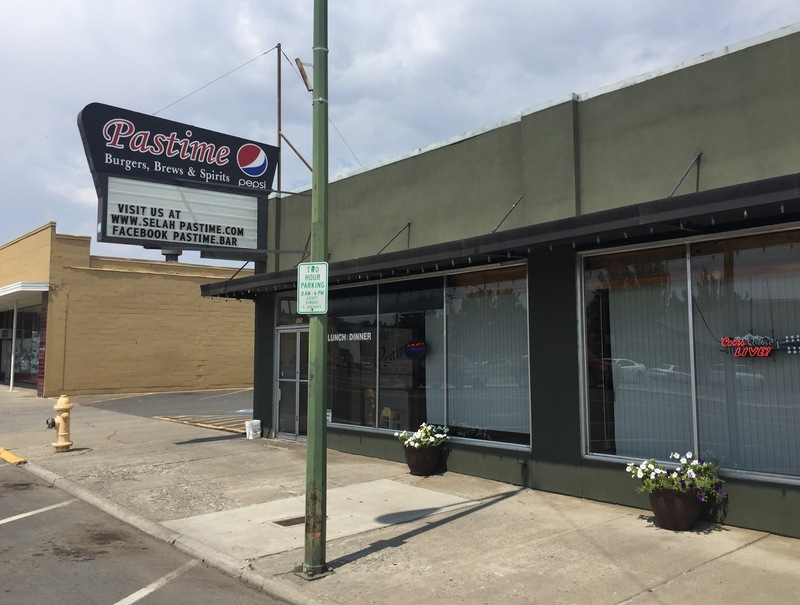 I have a particular interest in bars called the "Pastime," since it is the most common name for bars in Washington state (so far I've identified 57 cities and towns in the state that have had at least one Pastime), and because it is much more rare today than half a century ago. 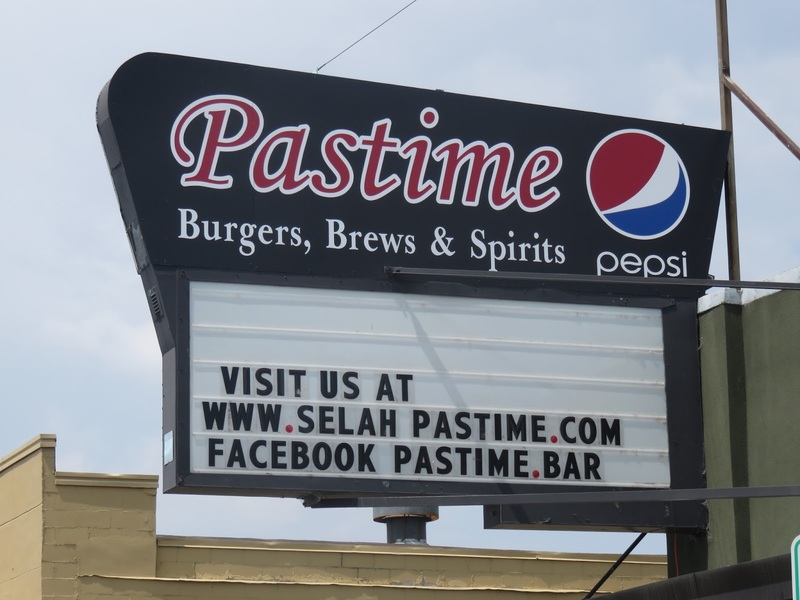 But if the name evokes images of an intimate, nolstalgic drinking spot, that is definitely not what you will find in Selah's version. 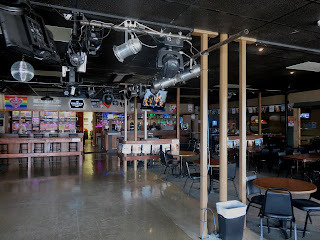 Selah, with a population around 7,000, is located in the center of Washington state, just north of the city of Yakima and above the confluence of the Naches and Yakima rivers, where the churning water made for particularly good fishing. 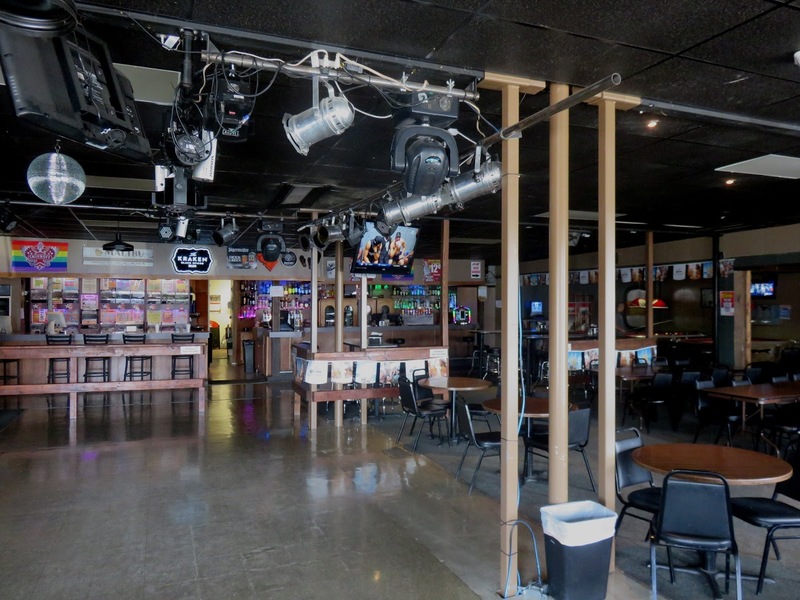 The name of the city is said to be the Yakima tribe's word "still or smooth water." It has always been small -- citizens marshalled itinerant fruit orchard workers to have the required population to incorporate in 1919. It is now populated largely by apple orchards and juice companies. 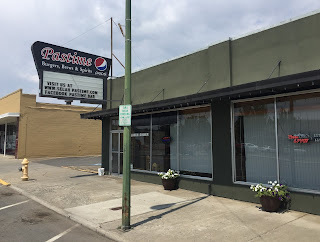 I don't know how long there has been a Pastime bar here, but there appears to have been a smaller version since at least the middle of the 20th century just one parcel east on East Naches Blvd from the current location. By the year 2000 city guides list it having moved from the 133 address to the current 125. 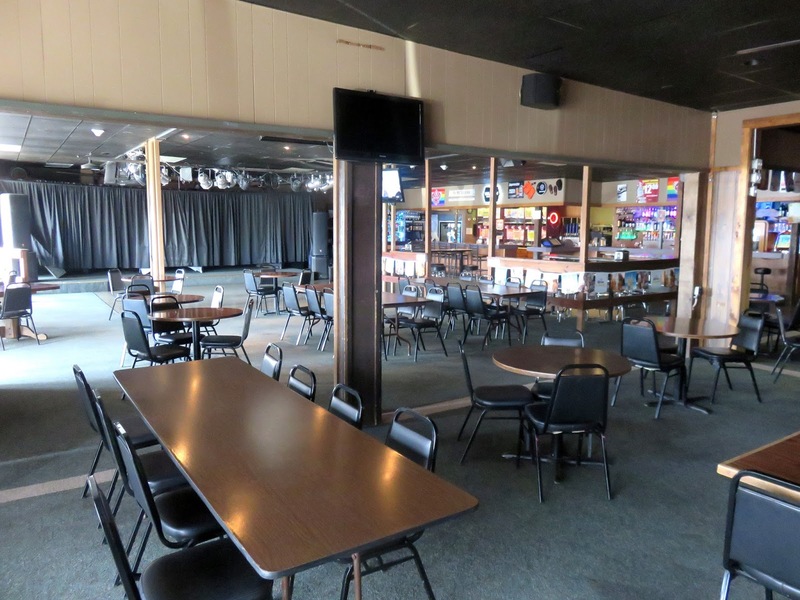 Whatever it may have been like in the past, the current "Pastime Burgers, Brews & Spirits" is now a large, partying venue, with live country music, hip-hop DJs, security staff, and a steady stream of themed events that can attract hundreds of people. During the daytime it is much more placid, with a handful of older folks, seeming all the more bereft in the large and plain interior, having a Budweiser and a burger, or perhaps some prime rib. 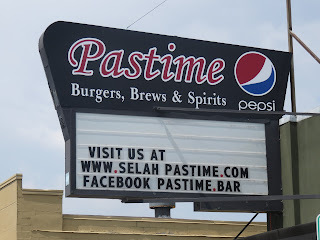 If anyone has any details on the history of the Selah Pastime(s), I would love to hear it.